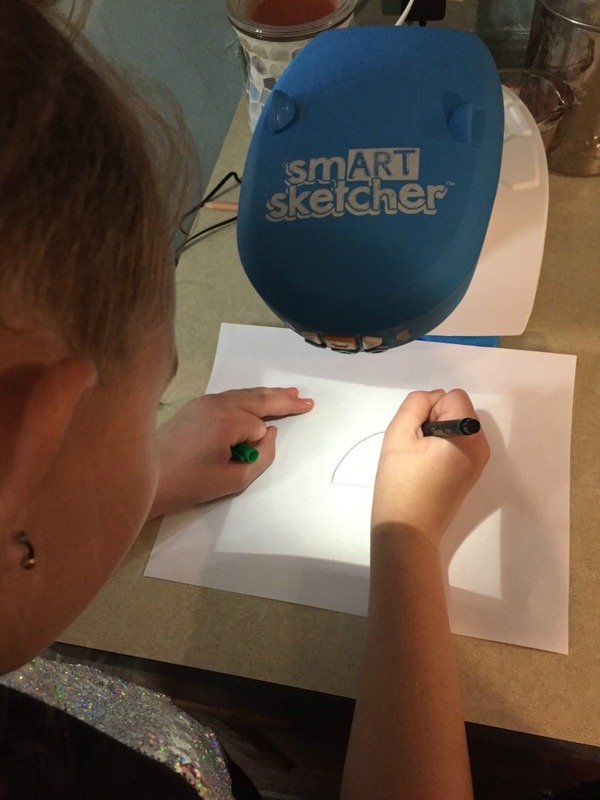 The smART sketcher Projector gets youe creative juices flowing through drawing, coloring, and writing. With a simple to use app or preloaded SD cards you can download photos or themed pictures. The instructions guide you through the entire process, and it is easy to use. 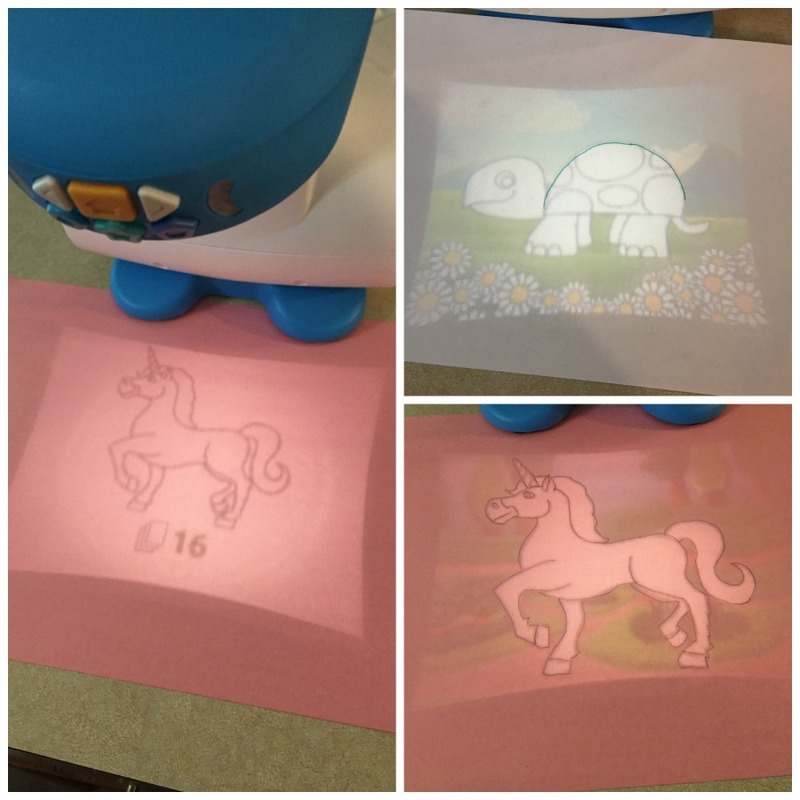 You can use this smART Projector to draw pictures, play with numbers, letters, and spelling. Then at the end you can animate your drawing and it even has music for a finishing touch. My daughter had a blast looking through all the various pictures to find her favorites to draw. There were so many animals, vehicles, and other fun choices like this unicorn and fairies. She drew a turtle and the unicorn right off the bat. The smART Projector put one part of the picture up at a time so they can follow through the entire process until the picture is done. Then with the touch of a button a background pops up and then things move. In addition to pre-loaded templates, we were able to take a picture of my daughter and turn it into a sketch. 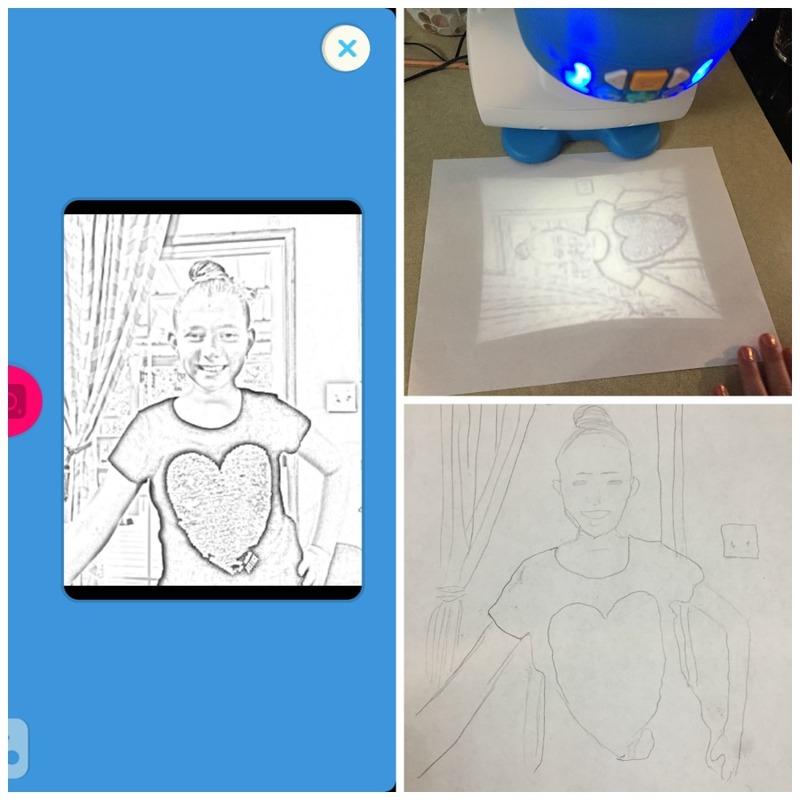 The app was simple to use to accomplish this and as soon as I hit a button on my phone the sketch of her was on the smART Projector. She traced the lines and made a neat picture. I think this option would be really cool to create sketches of our pets or even non living items. This Projector is a great tool for art and creativity, plus it can help with spelling, words, and numbers. 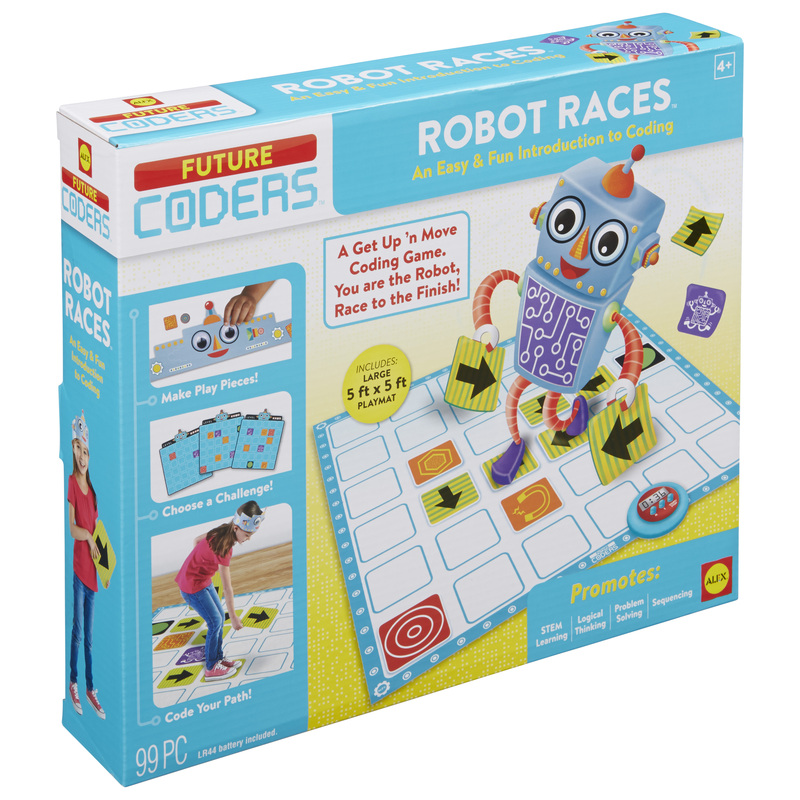 This product from ALEX toys helps children learn early coding logic ideas. First you decorate your own robot with stickers and then you become the robot as you race around a track and solve challenges. This game is active since it has you jump, spin, and even dance your way to the finish line. You will map your path from point A to B and that is where you will be coding. A frenzy of fun results from the digital timer and challenge cards. This large game is 5ft by 5ft, and is fast and fun. Children 4 and up will enjoy making their robot and then playing the game. While they are playing they will be learning STEM skills, logical thinking, sequencing, and problem solving. What better way to prepare to go back to school then to get their brains working as they have a blast. L’il Scents Mini Plush Clips are popular animal designs mixed with your favorite smells. 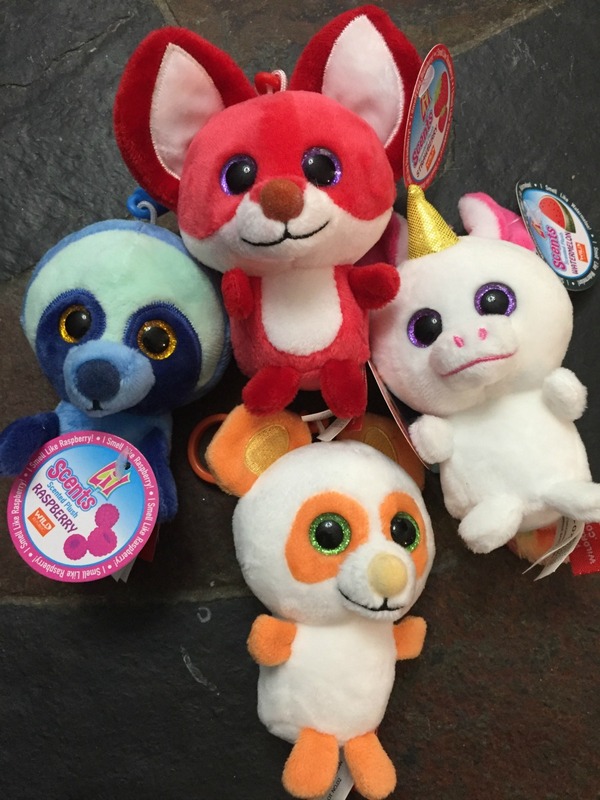 There are eight styles of these cute 4″ toys which include: fox strawberry, red panda cherry, seal grape, triceratops blueberry, unicorn watermelon, panda peach, tiger tangerine, and sloth blue raspberry. With the plastic clip you can easliy clip these cuties to a backpack to prepare for school. These L’il Scents are as cute as can be and they smell so yummy. I love the unicorn because she has little wings and a rainbow tail and mane, plus watermelon smells great. Then there is the panda and the bright green eyes and the orange look so awesome together. She smells like peach and I just love that. I keep smelling the cute animals over and over again. 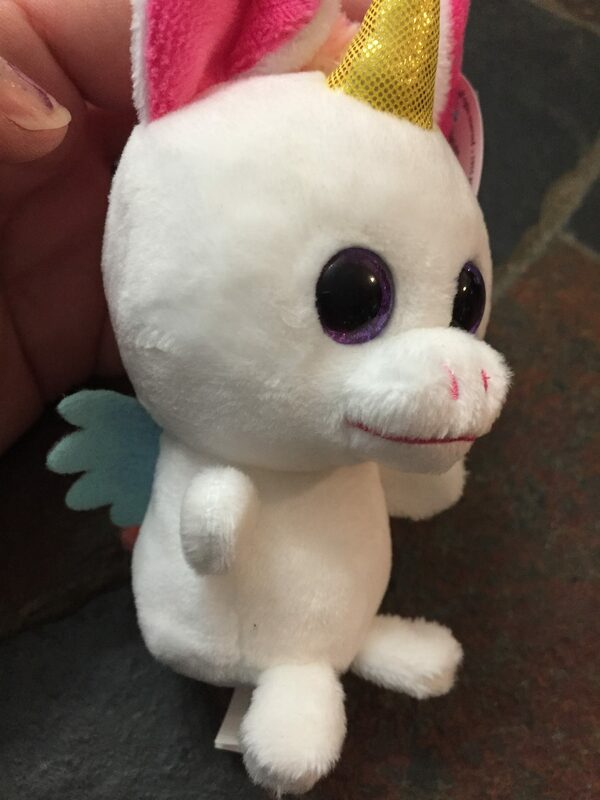 My daughter grabbed the cute Strawberry fox and it is on her purse until she gets her backpack. Which product will you get to prepare for school? Be social and check out each of their facebook pages!